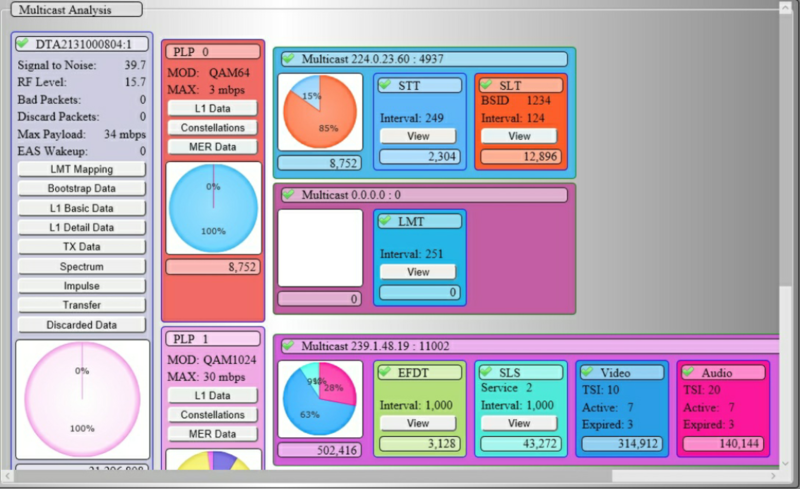 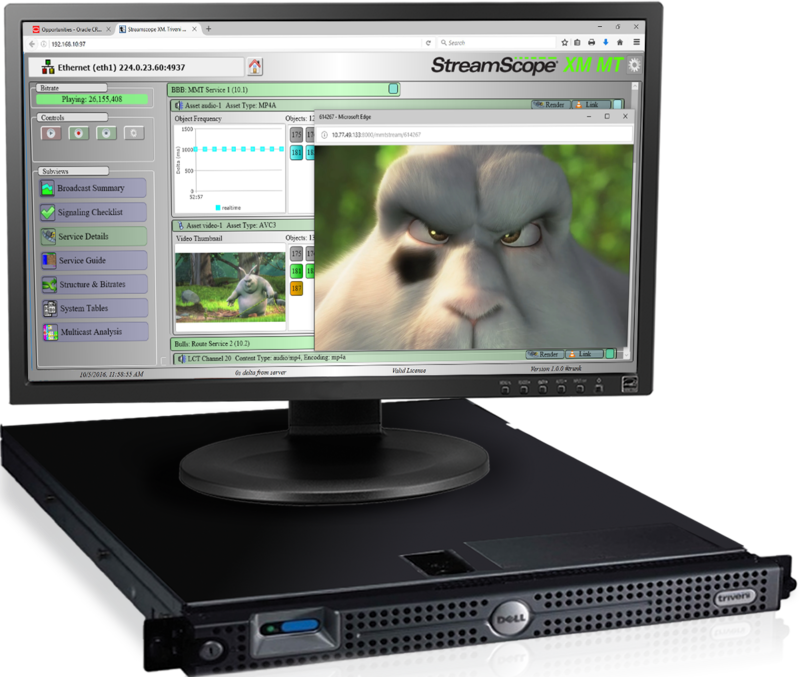 StreamScope® XM MT provides the most advanced ATSC 3.0 broadcast stream analysis available today. 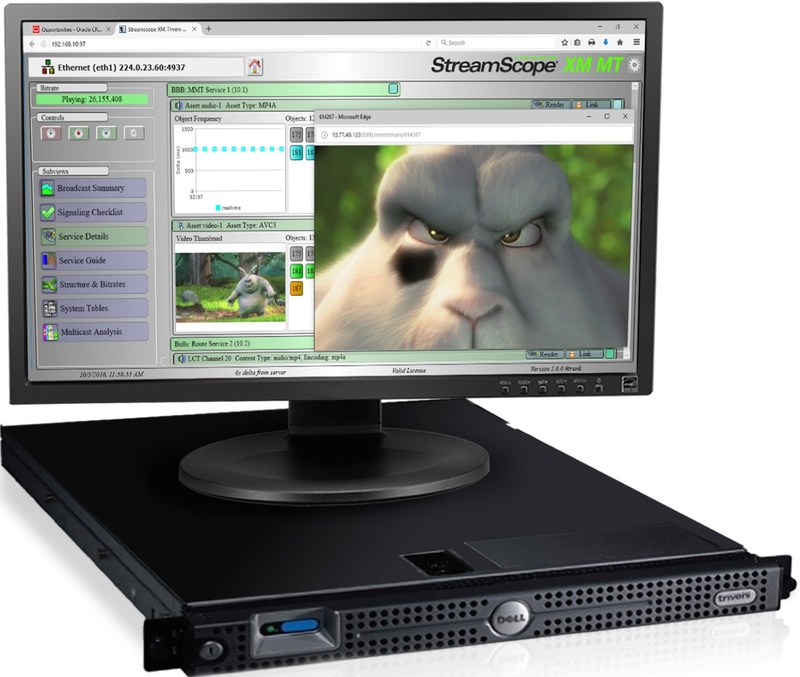 A full receiver with ROUTE, MMTP, and STLTP analysis capabilities, StreamScope XM MT makes ATSC 3.0 demos, field trials, and early deployments easier with comprehensive real-time analysis of RF, Ethernet, and recorded file inputs at multiple delivery points. 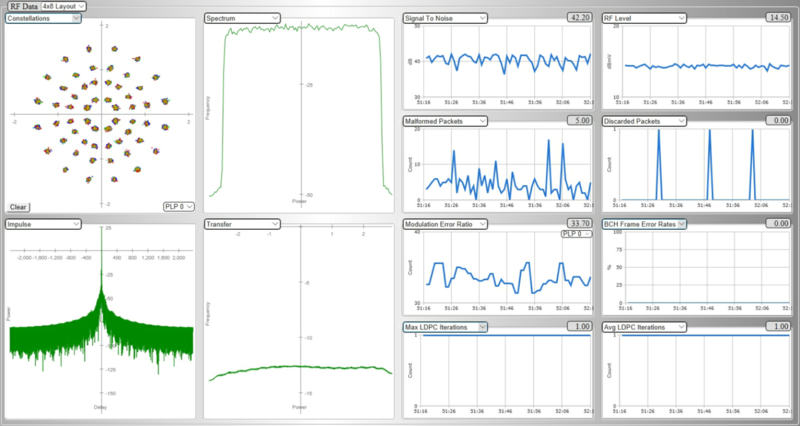 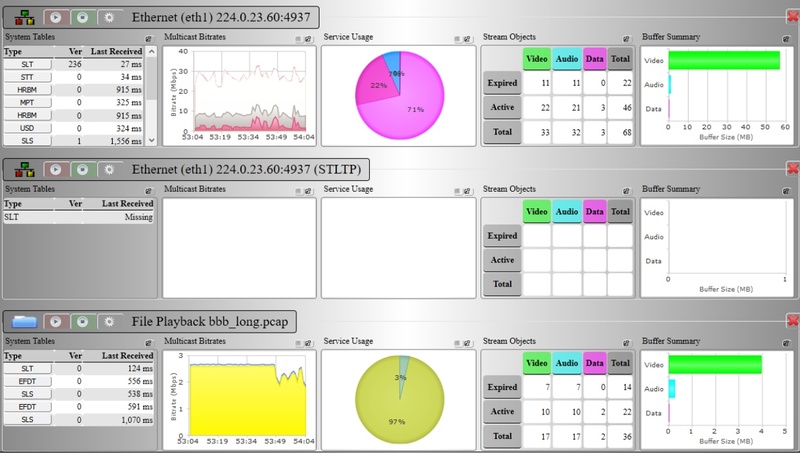 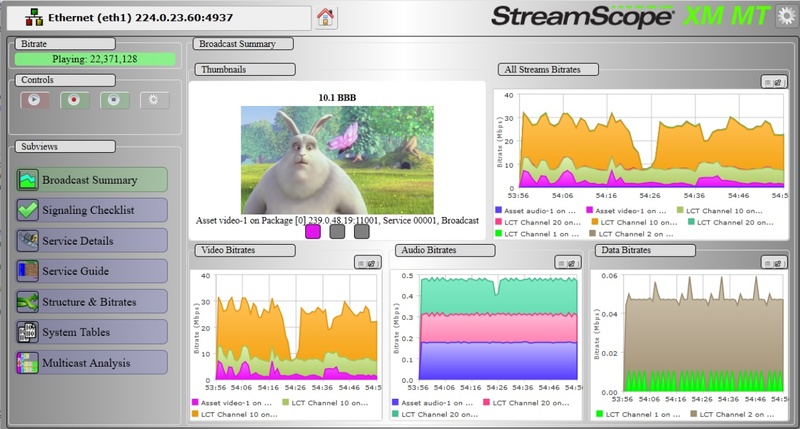 With StreamScope XM MT, TV engineers can analyze and troubleshoot video and audio bitrates, signaling, object buffering, program guides, stream structures, system tables, multicast routes, RF data, and more to help ATSC 3.0 broadcasts achieve unprecedented interactivity and quality.